The Mid-Eastern Athletic Conference held its annual Media Day and Football Press Luncheon on Friday, July 29th in Norfolk, Virginia. The MEAC announced its all-conference preseason team as voted on by the member institutions’ coaches and sports information directors at the luncheon. Wildcats Natiel Curry (C), Alex Monroe (OL), Ryan Davis (DE), Reginald Sandilands (LB), Ryan Lewis (LB), and Michael Williams (S) were named as first team all-conference selections. Eddie Poole (WR), Isidore Jackson (RB), and Marquell Rozier (OL) received nods on the conference’s second team. 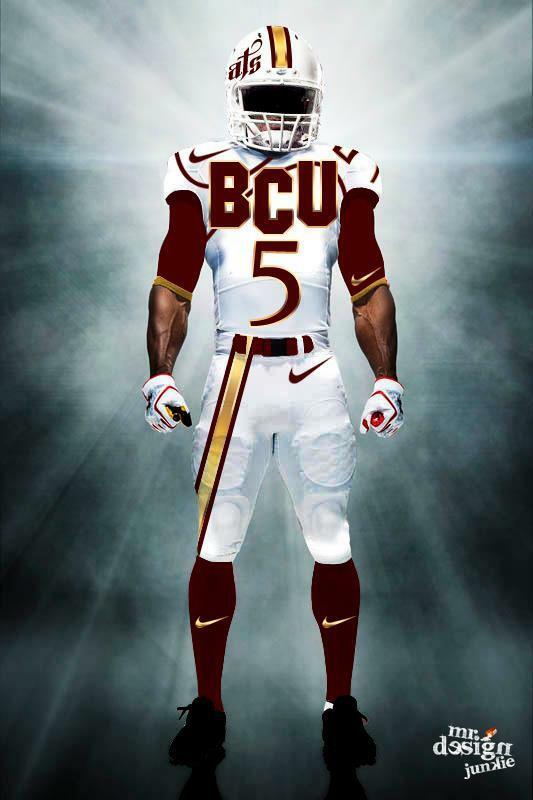 BCU received the highest number of all-conference selectees with 9 followed by South Carolina State (8) and Florida A&M (7). Delaware State wide receiver Justin Wilson and BCU linebacker Ryan Lewis were selected as the Offensive and Defensive Players of the year. South Carolina State was predicted to finish first in the final conference standings followed by BCU, FAMU, and Hampton in that order. QB Chris Walley Sr. Norfolk State Tallahassee, Fla.
RB Mike Mayhew Srl North Carolina A&T Charlotte, N.C.
RB* Antwon Chisholm So. Hampton Belle Glade, Fla.
RB* Jaashawn Jones r-Sr. Delaware State Asbury Park, N.J.
TE Antuanne Kerr r-Sr. South Carolina State Augusta, Ga.
WR Justin Wilson r-Jr. Delaware State Windsor, Conn.
OL Alex Monroe So. Bethune-Cookman Jacksonville, Fla.
OL Juavahr Nathan r-Sr. South Carolina State Goose Neck, S.C.
OL Kendall Noble Sr. Norfolk State Rocky Mount, N.C.
OL* Lawrence Brewer Sr. Morgan State Fort Washington, Md. OL* Robert Hartley r-Jr. Florida A&M Lake City, Fla.
C Natiel Curry Sr. Bethune-Cookman Miami, Fla.
DL Ryan Davis Jr. Bethune-Cookman Tampa, Fla.
DL Sackie Kerkulah r-Sr. Howard Willingboro, N.J.
DL Josh Turner Sr. Norfolk State Chesterfield, Va.
DL Pat Washington r-Sr. South Carolina State Charleston, S.C.
LB Ryan Lewis Jr. Bethune-Cookman Pompano Beach, Fla.
DB Michael Williams Sr. Bethune-Cookman Miami, Fla.
DB D’Vonte Graham Jr. North Carolina A&T Tallahassee, Fla.
DB Dominique Ellis r-Sr. South Carolina State Wendell, N.C.
P Brandon Holdren Jr. Florida A&M Jacksonville, Fla.
P/K Blake Erickson Sr. South Carolina State Pensacola, Fla.
Ret Justin Ferrell Sr. North Carolina A&T Danville, Va.
QB David Legree Sr. Hampton Brooklyn, N.Y.
RB Isidore Jackson So. Bethune-Cookman Mossy Head, Fla.
RB Asheton Jordan Sr. South Carolina State Summerville, S.C.
TE Ryan Langdon Jr. Delaware State Philadelphia, Pa.
WR Javaris Brown Jr. Hampton Macon, Ga.
WR Eddie Poole r-So. 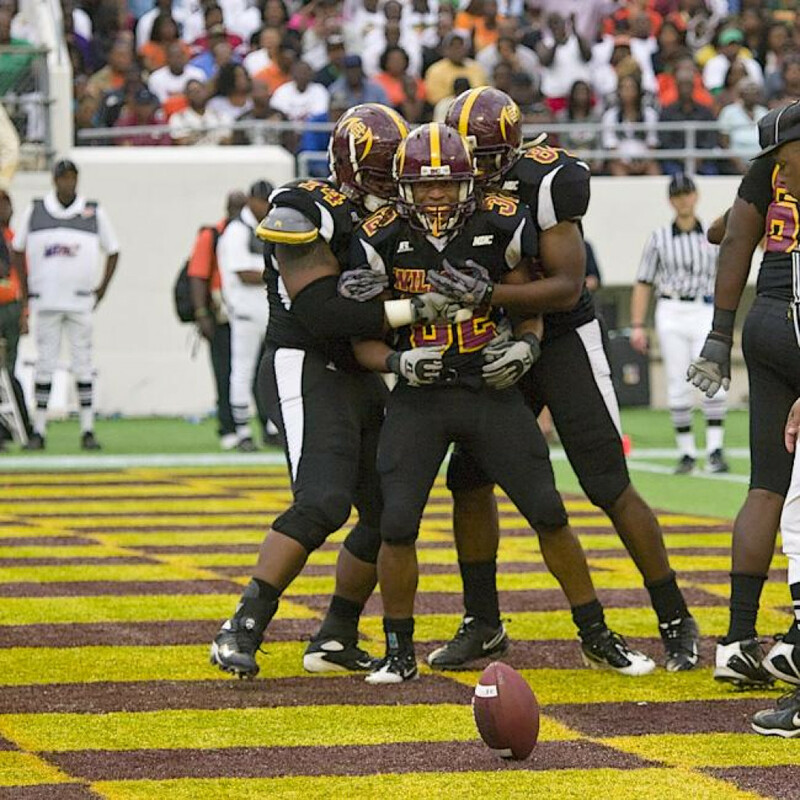 Bethune-Cookman Belle Glade, Fla.
OL Brandon Curry r-Sr. Florida A&M Hollywood, Fla.
OL David Luckett Jr. Hampton Pomfret, Md. OL Brenton Walker Sr. North Carolina A&T Durham, N.C.
OL Marquell Rozier So. Bethune-Cookman St. Paul’s, N.C.
C Shelley Anthony r-Jr. Florida A&M Atlanta, Ga.
DL Ronnell Ferguson Sr. South Carolina State Lincolnton, Ga.
DL Zary Stewart Sr. Morgan State Upper Marlboro, Md. DL Roger Stewart Sr. North Carolina Central Charlotte, N.C.
DL Jerry Willis Sr. Florida A&M Sebastion River, Fla.
DB Darren Hunter Sr. Savannah State Atlanta, Ga.
DB Reshaude Miller Sr. Morgan State Florence, S.C.
DB John Ojo r-Jr. Florida A&M Tallahassee, Fla.
P Nicholas Adams Jr. Morgan State Fayetteville, N.C.
Ret Arthur Goforth Jr. North Carolina Central Columbia, S.C.
Former QB and Backup Safety Ben De La Cruz leaving BCU!